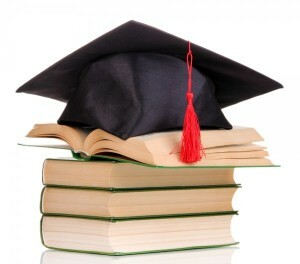 Home › FAQ › Can You Get a Graduate Degree in an Area Different From Your Undergraduate Degree? Can You Get a Graduate Degree in an Area Different From Your Undergraduate Degree? Many potential graduate students find that they want to diversify their academic experiences, and they face a key concern: Is it possible to get a graduate degree in an area different than your undergraduate degree? The answer is a mixed bag. In some cases, it’s certainly possible to pursue other academic areas of interest without an undergraduate background. In some cases, however, students are “locked in” to their undergraduate major or “locked out” of going in a different direction as a graduate student. It’s important to understand the most likely areas that will be either open or closed to exploration without a corresponding undergraduate course of study before applying to, or even researching, graduate programs at today’s universities. Perhaps the best known graduate-level pursuit open to all students is a law degree, which only requires that students perform well at the undergraduate level in any major, take the LSAT and score sufficiently, and gain admission to a top-notch school of their choosing. Law school admissions counselors are famous for telling students that they prefer well-rounded applicants with unique backgrounds that inspire critical thinking. In fact, most schools don’t even offer a “law” or “pre-law” major to their students. In addition to law schools, most business schools open their MBA programs to students from diverse academic backgrounds. Students who didn’t study business as an undergraduate simply have to enroll in a limited series of foundation courses that teach the fundamentals of accounting, finance, statistics, marketing, and management. These foundation courses will provide all of the knowledge that students need in order to succeed in traditional MBA coursework. Some schools will require specific business degrees for concentrated M.S. programs in areas like economics, accounting, management, or finance, however. The liberal arts majors are also very versatile, and students can often enroll in a graduate course of study in the liberal arts with virtually any undergraduate major. Like business programs, students might have to take a few foundation courses so that they can “catch up” to their peers who are continuing in the same area of study from their undergraduate years. For the most part, however, even these foundation courses are brief at the schools that still requirement. While there are plenty of graduate programs that admit students from diverse academic backgrounds, some programs are so highly specific that they will only accept students with an undergraduate foundation in the same content area. Most notorious for this limitation is medicine, which requires that students study a field like biology, chemistry, pharmacy, or anatomy as an undergraduate. Another field that excludes most applicants from applying without a related undergraduate background is psychology, since it requires a great deal of diagnostic, statistical, and behavioral knowledge. Social work and sociology programs have similar restrictions, in many cases, for similar reasons. Some education degrees at the graduate level also require their students to have an undergraduate diploma in education as well as several years of teaching experience. These programs are simply not open to those without an educational background. Instead, schools make available specific education programs at the graduate level for those applicants who wish to begin a career in teaching without any educational or professional experience. Students should keep in mind that program requirements vary between each college and university in the country. Before assuming that a program is open or closed to students without an undergraduate background in that particular subject matter, do research on admissions requirements and guidelines for new students, according to Idealist. By following these steps and guidelines, it will be easy to determine whether it’s possible to get a graduate degree in an area different than your undergraduate degree.